Collection of unusual pillows and unique cushion designs from all over the world. Conversation Pieces Pillows: Heather Lins' Conversation Pieces pillows work best in a group and look great on a comfy couch. 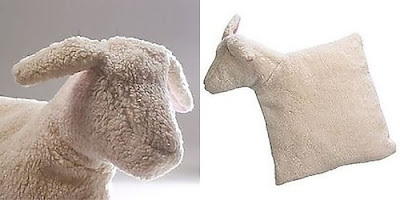 Sheep Pillow: An unusual pillow in shape of a sheep. 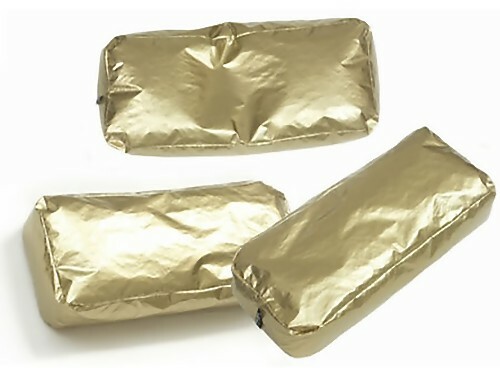 Gold Brick Pillow: The Gold Brick pillow will complement the decor and character of your room. 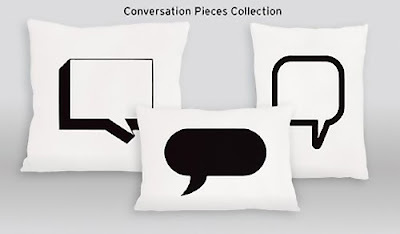 Instructional Boudoir Pillows: These pillows add comfort and charm to your room, and assist with the establishment and conduct of civilized family life. Cushions by Kevin Boa: These unique cushions are created from used textiles and their labels. 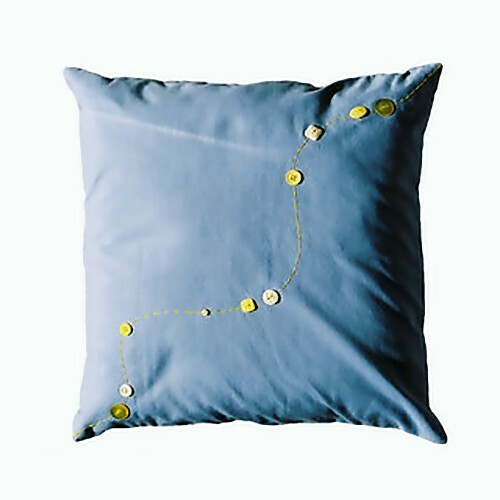 Button Beauty Blue Cushion: Created from used textiles and all the buttons have been lost and found. 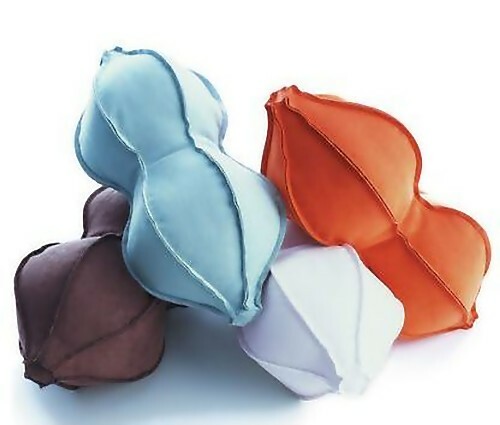 Billow Pillow: It's a soft cushion and a soft sculpture. 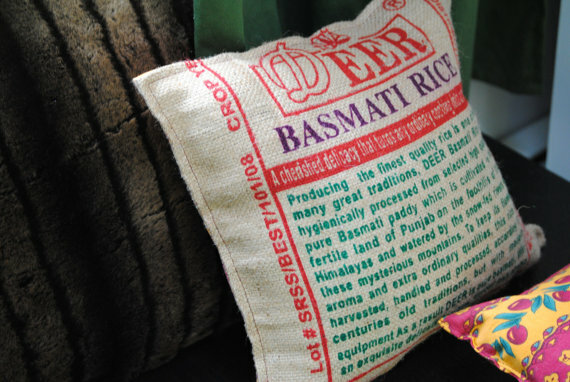 Record Cushion: Crocheted in pure black wool to replicate records. 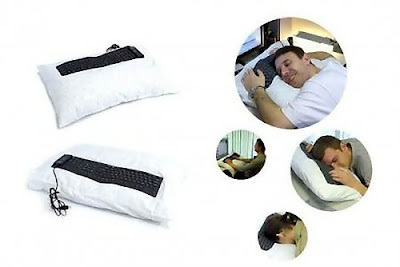 Pillow Keyboard: This concept pillow keyboard combines a pillow and a computer keyboard; one can take a nap without leaving this work station. 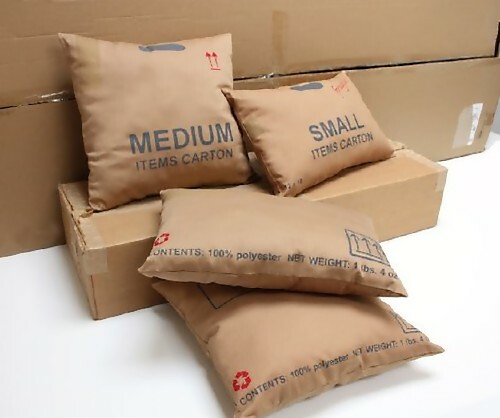 Carton Pillows: Inspired by graphic signs and industrial symbols, these sturdy pillows come in a rectangular and square versions and have a double-sided print that is different on either side. 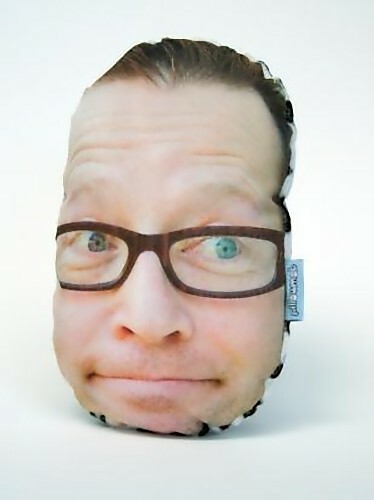 Pillowmob: Turn your photo into a pillow; pillowmob will transform it into a pillow. Bastmati Rice Bag Pillow: A cool and creative reuse of rice bag; these pillows are made from original rice bags with their print on them. 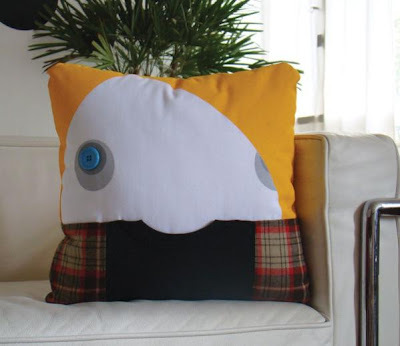 Don't miss to check out "Unusual Pillows and Unique Pillow Designs - Part: 1| 2| 3| 4| 5| 6| 7| 8| 9| 10." 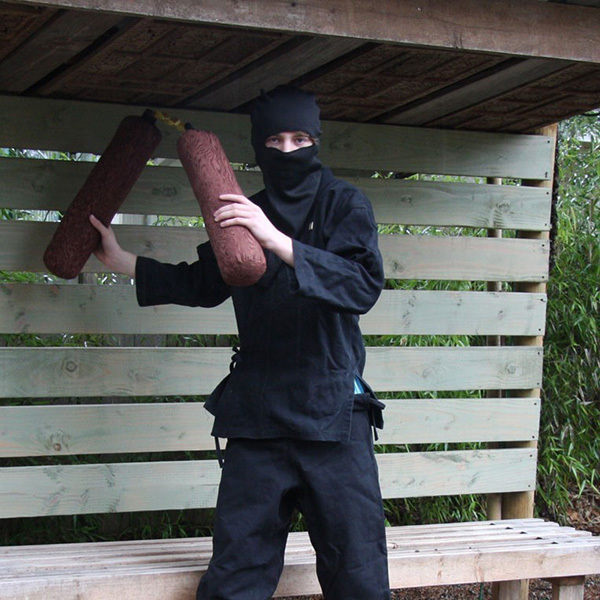 18 Creative and Unusual Telephone Booths. 14 Clever and Creative Mirror Inspired Advertisements - Part 2.